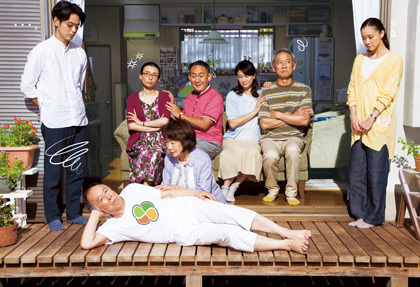 The unruly Hirata family returns to the big screen! A sequel to “What a Wonderful Family!” is on its way. Several years have passed since Shuzo Hirata (Isao HASHIZUME) and his wife Tomiko (Kazuko YOSHIYUKI) came within inches of getting divorced. Shuzo enjoys getting out of the house and going for drives, but after his car starts to collect more dents that ever before, his eldest son Konosuke (Masahiko NISHIMURA) and daughter-in-law Fumie (Yui NATSUKAWA) begin to worry about his safety as an elderly driver, and decide to ask him to relinquish his license. However, how on earth are they going to convince such a stubborn old man to do so?